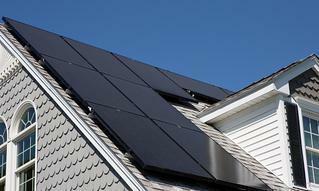 Eversource is Offering You a Simple & Easy Way to Go Solar! Eversource is committed to being a catalyst for clean energy and joining the communities where we live and work in building a better New England. We have already forged partnerships to make large-scale clean energy projects a reality for the region. Now, we have partnered with Energy Sage to help you go solar and lead with us. An investment in solar is an investment in cleaner energy for now and future generations, as well as economic development. Let's work together for a better tomorrow.